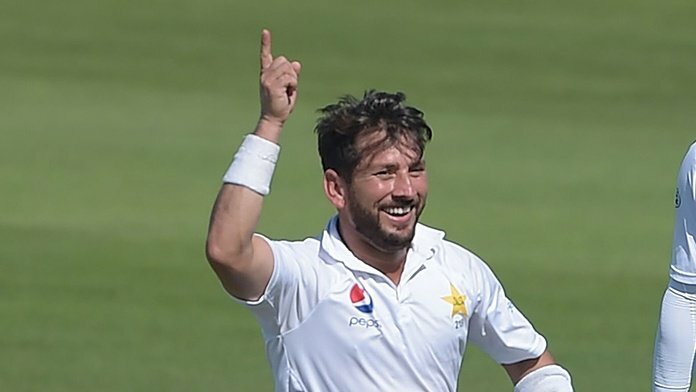 Abu Dhabi: Pakistani leg-spinner Yasir Shah has become the fastest bowler to take 200 wickets in the Test format on Thursday after breaking the 82-years old record which was previously held by Australian legend Clarrie Grimmett. Shah achieved this incredible milestone in his 33rd Test while playing against New Zealand at Sheikh Zayed International Stadium Abu Dhabi. In 2016, the 32-years-old leg-spinner reached 100 wickets mark in only 17 Tests which is second only to Englishman George Lohmann who has the record target in 16 matches during a Test in Johannesburg in 1896. The entire nation was eagerly waiting for him to break the record. Cricketing fans all around the world are praising him for his achievement.